Crush the candy canes into pieces and pour into a quart-sized bottle or jar. Top with the mint-infused vodka, brandy, and half-and-half. Shake well, and set aside for 30 minutes until the candy canes begin to dissolve, and the liquid turns pink. Shake again, and add the simple syrup (peppermint or vanilla flavored syrup works too), 1 tablespoon at a time, until the flavor suits your tastes. Optional: add 1/4 tsp. of peppermint extract. Store in the refrigerator. 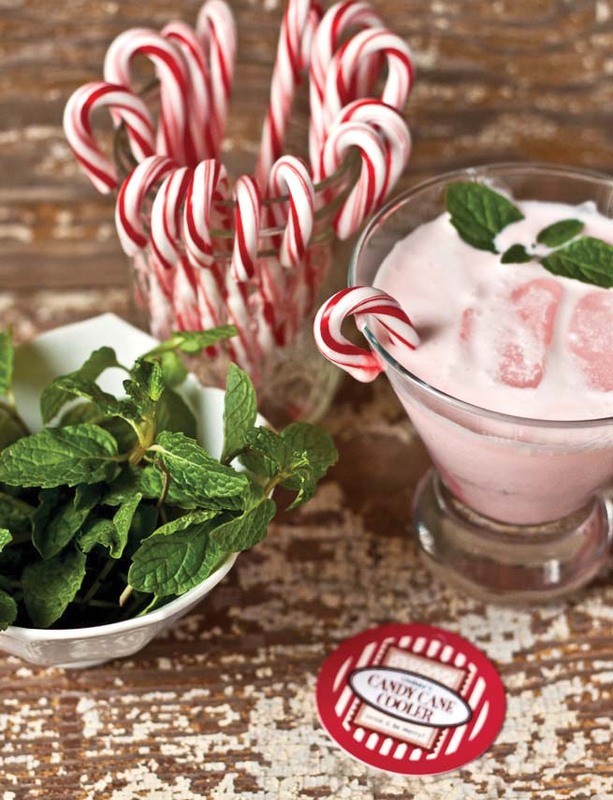 Serve in a cocktail glass over a cube or two of ice, and garnish with a sprig of mint and a small candy cane over the rim of the glass. Tip: If the beverage is too strong for you, cut it with a little more half-and-half or milk.